Selective pallet racks are the most flexible and commonly used type of pallet racking available. 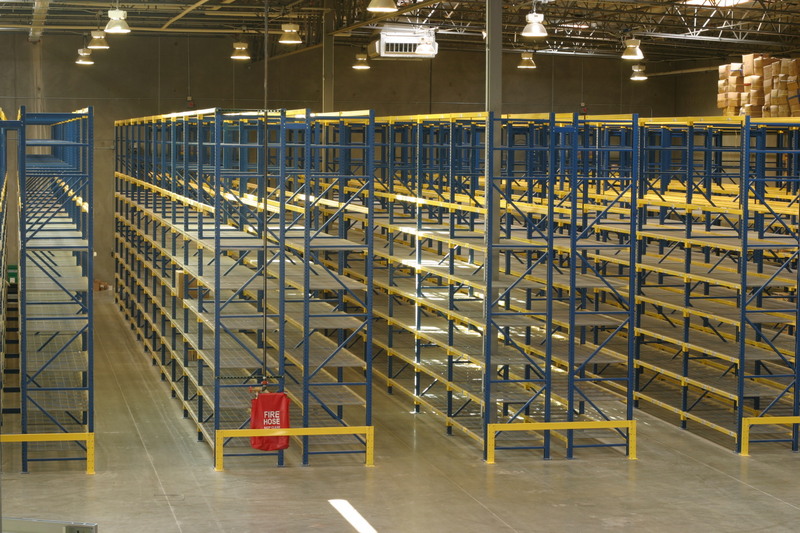 Selective pallet racking systems can be designed for a variety of applications and are very versatile. They provide the greatest levels of selectivity, providing superior access to all stored materials. We offer selective pallet racks in virtually any size to best meet your needs. We have selective racks in stock in our warehouses in several locations throughout the Southwest. Our inventory of selective pallet racks is the highest quality on the market, made from high-strength steel and aligned with precise specifications. We provide both welded and bolted frames to create reliable sound structures. Our pallet rack experts can help you design the best and most effective selective rack storage system featuring optimal layouts, forklifts and operating processes for your business needs. There are different types of selective pallet rack systems available, including teardrop style and structural pallet racks. Our pallet rack experts can help you design the best and most effective storage system for your warehouse when you call (866) 266-2244.